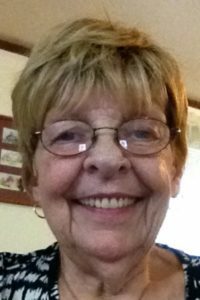 Helen L. Putman | Tri-State Cremation Center, Inc.
Helen L. Putman, age 70 of Bellevue, Iowa, completed her earthly journey on Friday, April 5, 2019. To celebrate Helen’s life, a private family service is being held. Burial will be in the Rock Island National Cemetery, Rock Island, Illinois, where full military honors will be accorded. The Tri-State Cremation Center is humbly serving Helen’s family. Helen was born on November 17, 1948, in Bellevue, Iowa, the oldest daughter of George Louis and Elizabeth Ann (Fuller) Williams. Helen completed her high school education and went on to complete some college credits before she began her lifelong mission as a devoted housewife, mother and grandmother. She spent her entire adult life taking care of her family and reassuring them on a daily basis that they were her pride and joy. She did work outside of the home a little as a waitress at the Julien, but even when she was serving others her heart was always at home. Helen was a quiet and simple lady who never wanted to make a fuss about anything, especially herself. Always putting others first was her goal, and we can honestly say that she succeeded without fail. We will miss our dearly sweet mother, grandmother, sister and friend, but we know that she is now reunited with her loving husband, Terry and her parents once again, and we will remain forever grateful for the abundance of wonderful memories she leaves behind. along with many nieces, nephews and cousins. Helen was preceded in death by her parents and her loving husband, Terry Putman. Helen’s family would like to thank the nurses and staff at Hospice of Jackson Country, along with the doctors, nurses and staff at Mercy Hospital for all of their professional care, love and compassion over these past few weeks. To celebrate Helen’s life, a private family service is being held. Burial will be in the Rock Island National Cemetery, Rock Island, Illinois, where full military honors will be accorded. My thoughts and prayers are with ya’ll. Troy, Dorie and Scott, Sherry and Jesse and Helen’s Brothers and Sisters; So sorry to hear of Helen’s passing. Your treasured memories is the greatest gift you have. Hold tight to all of them.